Basic nutrition tells us that we require carbohydrates, fats, and protein in order to be healthy and thrive. However, along with fat, protein has suffered in translation. Protein makes up ¾ of the solid matter in your body. That’s the majority! We all hear about the benefits of taking supplements (vitamins, minerals, trace minerals, etc), but often when these supplements fail to produce the results we seek, your search should be directed in the direction of amino acids. Without amino acids, you would not be able to make antibodies for the immune system to fight infection, hemoglobin to carry oxygen throughout your body, hormones/neurotransmitters to regulate metabolism and mood, enzymes for biochemical reactions in the body such as digestion and energy (ATP) derived from glucose by the Krebs cycle. Some of the nonessential amino acids are very closely tied such as tyrosine, which is made from phenylalanine. In this case, if you have plenty of tyrosine, then logically you have enough phenylalanine. However reversely, if you are deficient in phenylalanine, you will also be deficient tyrosine as well. The same can be said for arginine and ornithine (made by arginine). 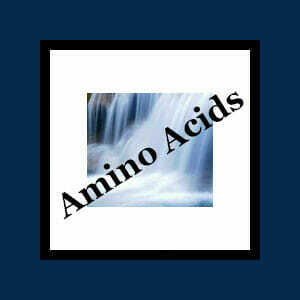 Bottom Line: Without amino acids, life would not be possible. Natural Cure for Anxiety that Works!